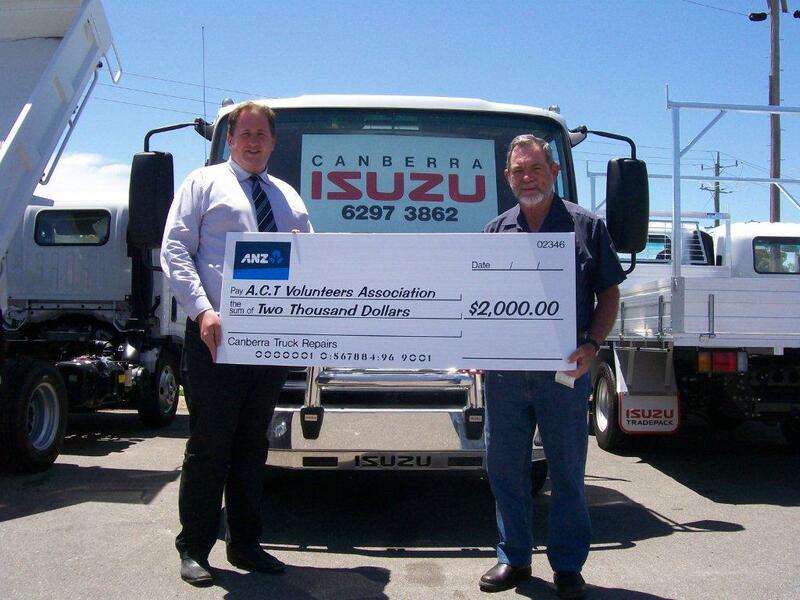 The ACT Volunteer Brigades Association (VBA) would like to thank Isuzu for their generous donation toward the running of the 2012 Field Day. The cheque presented to VBA Co-ordinator of the Field Day, Mr Dave Wassall, recognises the importance of the Field Day in keeping volunteer rural firefighters operationally ready. Mr Dave Wassall said “the Field Day provides scenarios for the crews around circumstances they will face on a fireline. It is all very practical, so things like pumping and drafting water, direct attack techniques on a range of fire sources, chainsaw operations, first aid, radio communications, crew management and tanker operations are all included. But probably most importantly the focus of the day is on teamwork and safe operations”. The ACT Volunteer Brigade Association’s Field Day has been run since 1986. It provides ACT volunteers with an important training opportunity as well as the chance for brigades to share operational knowledge as we enter a potentially busy 2012-13 fire season. It would certainly not hurt a number of large manufacturers/businesses to follow Isuzu's lead and help out ultimately life-saving causes like this. Well done Isuzu.